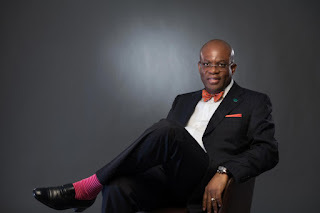 Mr Paul Usoro, the newly sworn in president of the NBA who has taken off with a very big bang, enthusiasm and positive energy reconstructing the old manner of businesses at the NBA House, receiving accolades and adulations from the overwhelming majority of the bar as exemplified by the standing ovation he received from members of the NBA NEC yesterday is the victim of a very primitive and execrable brand of Politics being played by the government of Nigeria..
Every discerning mind understands that it's about the unconstitutional takeover of Akwa Ibom state by hook or crook by the ruling party with the active collusion of some indigenes of the state..
Added to this and as if to add salt to injury, the National president had the "unfortunate" task of being the counsel to the Senate president Mr Bukola Saraki in his tral at the CCB at the instance of the Federal government.This he carried out dutifully and successfully with great attention to details one of the hall marks for which he's known over the years.. For this, carrying out his lawful duty as a legal practitioner he's been marked for destruction and this plan is being accentuated by a few people in the bar with access to the levers of power who are still bitter over his guts to contest for the last NBA president election which he won..
Usoro was counsel to both Udom Emmanuel and Bukola Saraki people the government/APC attempted to heckle and discomfit for political reasons. Usoro's only sin is that he's seen as a pro PDP lawyer meanwhile he's never rejected an APC brief.. The idea therefore is since they missed Udom and Saraki because of Usoro's brilliant advocacy based on evidence, they would get him (Usoro) It's like in a game of football it's said usually when the game gets tough, "if you miss the ball, don't miss the leg" our president Paul Usoro SAN, is unfortunately the "leg" in this crossfire, primitive, rough-hewn political game which the APC is known for..
How do you explain the fact that information regarding the charge of Mr Usoro SAN is already on social media meanwhile, he hasn't been served.. Why prosecute the case on Social media and not the court? The only plausible reason would be that they know their case is as wishy-washy and namby-pamby as a lamb that can't stand the weight of it's own wool. They idea therefore is to cause Mr Paul Usoro embarrassment in the eyes of the public particularly among lawyers but this has failed woefully and boomeranged as it has attracted the angst of majority of lawyers who understand that no law puts a cap on the amount a counsel ought to charge his client for services rendered which Mr Paul Usoro SAN carried out judiciously.. It's in the light of the prevenient therefore that i must first salute and appreciate our eminently distinguished learned Seniors, Elders and other members of the Nigerian Bar Association for your continuous understanding of the issues and your undaunted and unblinking support and solidarity for our president at this trying period not just for him but for the Bar for it's the Bar that's under attack today.. If we allow govt institutions to begin to interfere and cap how much fees we charge especially when the remonstrance over the fees charged is not coming from our clients, then we are in serious trouble and our profession is in jeopardy.. This is therefore, the time for lawyers all over the country close ranks and come out enmase to protest and support our president and stand against the forces of facism, totalitarianism, anachronism and all their agents..
Let's fight not just to preserve the Bar but our hard earned democracy.